I am huge fan of lip stains, as I love how long lasting they are on my lips. I find that, unless I apply millions of layers, my lipstick tends to fade away after a few hours. This is partly because lipsticks make my lips feel dry, so I spend most of the time licking my lips. I was recommended Revlon 'Colorstay' lippie by a friend and I had heard a few people comment on the bright pigmentation of the colours. So after a few days stalking the shelves at TkMaxx I found this lip duo for £4.99. I was almost jumping for joy at finding this complete bargain. Almost a fiver for two lipsticks, who would complain at that? Well... apparently a few people, who's complaints I found while I was searching the internet for swatches of some other colours, but I beg to differ. 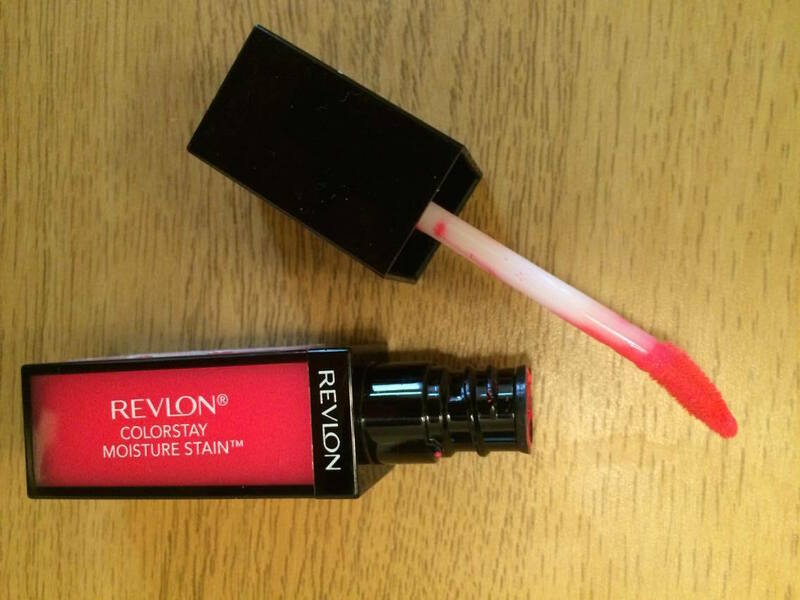 The Revlon Colourstay Moisture stain is perfect for spring, I had 020 Rio Rush and this is a coral-ly, bright pink punchy colour. I like bright pink shades for warmer weather as it can really brighten up your look as it is a change from the orange coral colour that you seem to see EVERYWHERE this time of year. I applied this in the morning and was unsure what to expect, as I don't usually use things with an applicator as I find I never get the right amount of product when applying. The applicator is a little flimsy so do be a little cautious if you are a little heavy handed like me, you could make a mess! The product is a little clumpy so you do need to make sure you spread it out evenly or I think you would look like you had bitty and peeling lips. By the afternoon after a cup of coffee and a snack, this had stayed in place and still looked bright from the Morning, so I was very impressed. It had faded a little in place but I think you could have gone a few more hours before it started to fade completely. I did reapply this after lunch and it started to go really clumpy so if you are reapplying I would recommend taking it off and starting again, so if you are planning on wearing this all day this might not be the product for you. However, for a night out or a meal I think this would last as it is not really transferable when drinking. The second product that I got in this duo was the Colourstay Overtime in shade Infinite Raspberry, I don't think this is widely available to buy in the UK. I have been unable to find it anywhere else but do let me know if I am wrong, as I would love a second shade. This product is a little different, the shade is more neutral and it comes with gloss top coat. Whenever I see a topcoat or anything similar I am usually put off straight away as it reminds me of when I first started to use make up, and I used one which stung my lips and made taking lipstick off impossible unless I took of the top coat of skin off my lips. With this I was surprised as it is glossy but not in a sticky way, but more of a moisturising way that allowed my lipstick to dry, almost like a barrier to help my Colorstay, well... stay. I really liked the colour of this, it does look a little dark in the tube but it is much lighter when applying so could easily be a day time look. 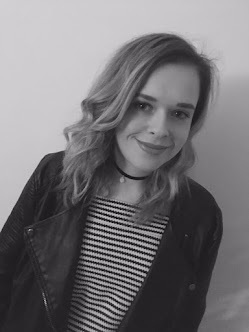 I wore this for a meal at the weekend and it stayed all night and I still had a faint line in the morning so thats well over 10 hours staying power! 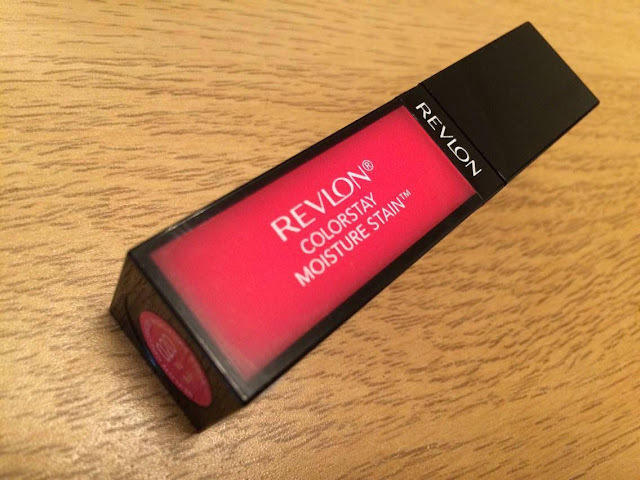 Have you tried Revlon's Colorstay duo?